If you live in New York City and you haven't yet read all of the National Book Award finalists, Wednesday morning is your chance to grab some copies. In the Great Book Giveaway, authors Neil Gaiman and Daniel Handler will compete to see who can give away the most free books to passersby, starting at 8:30 a.m. in Washington Square Park's Garibaldi Plaza. The books will include donated copies of their own novels, as well as some of every National Book Award 2014 finalist. No, this isn't a scene from your daydreams, and yes, you're going to need your coat and scarf. Handler, better known as Lemony Snicket, is the author of the insanely popular A Series Of Unfortunate Events series and will host the 2014 National Book Award Ceremony on Wednesday evening. 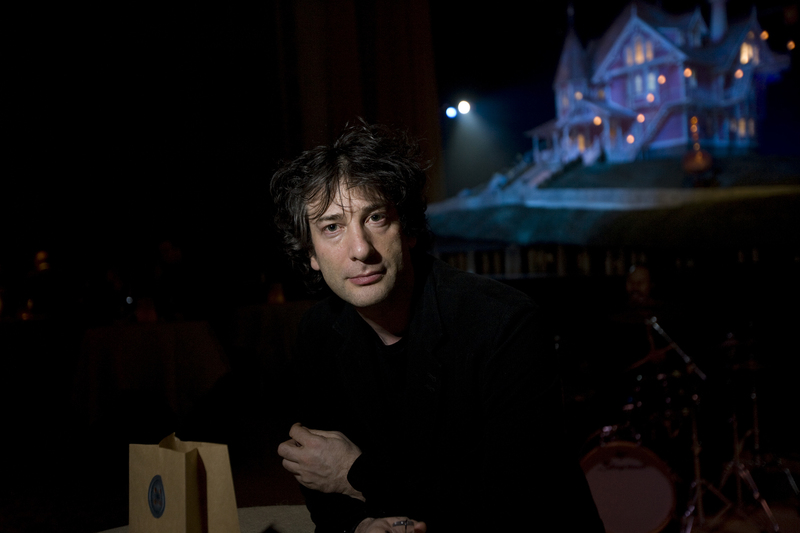 With Coraline, The Graveyard Book, and many others, Neil Gaiman has so many awards to his name he's going to need more hands, but most recently, he's the author of 2013's The Ocean at the End of the Lane. The National Book Foundation's Great Book Giveaway will work with The Uni Project, a nonprofit portable reading room in New York City that's committed to increasing access to books and learning. Both Handler and Gaiman are strong advocates for increasing literacy and a love of reading at a young age. And that means that they're having a little fun with this giveaway event. So, if you're lucky enough to be in New York City this week, get yourself over to Washington Square Park, pick a side, and do what the rest of us cannot. Study up on the absolutely must-have NBA finalists to make sure you're at your most efficient.